Join Art.Science.Gallery. 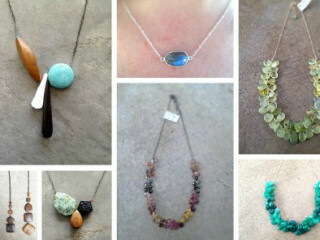 for a pre-Valentine's Day trunk show with Austin artist Mae-Mae Stiles of M Squared Jewelry. Enjoy delicious beverages while you peruse her collection and take advantage of the free gift wrapping. Stiles, who is also an engineer, creates modern, minimal and colorful designs mixed with vintage elements. Admission is free; Donations encouraged.